The first Indian woman to fly an airplane was a 21-year-old mother who did the flight in a sari. 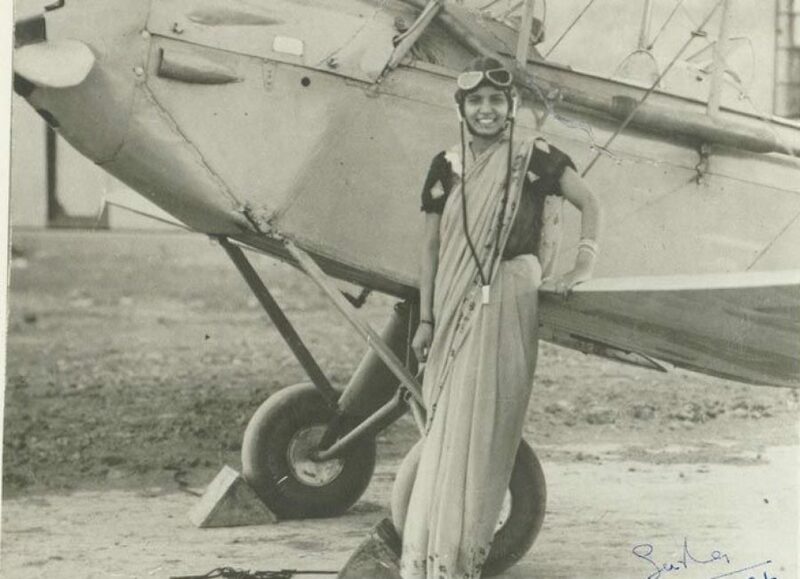 Her name was Sarla Thakral. After being widowed at age 24, she sought to apply for a commercial pilot’s license, but was stymied in doing so, due to the breakout of World War II. She later became an artist and entrepreneur and lived to the age of 94.